Lock in a great price for Nikos Takis Fashion Boutique Hotel – rated 9.6 by recent guests! Clean, nicely decorated, centrally located. Angelo was an amazing host - He super helpful and always gave good recommendations. Thank you for hosting us! Angelo made our stay the most amazing. Such a star ! Caring. Fabulous chef. Paid attention to detail. 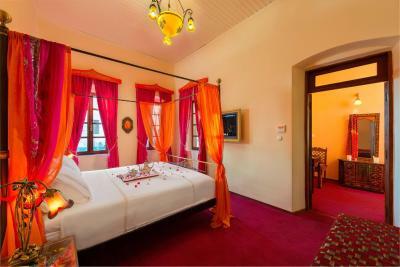 Special interior design in room, nice traditional design at hotel lobby and roof garden. Best spot in the old town, right next to the castle. 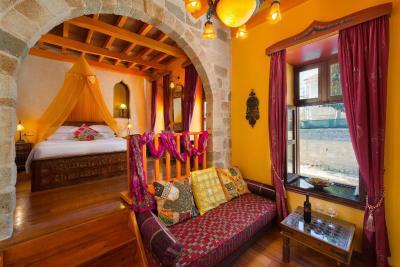 Cute little hotel with beautiful rooms (each different) in which you feel you visited the 14th century (rooms are smaller, but it is the character of the centuries old stone town houses). Kind staff. Place with a history. Relaxing music in the bathroom. Comfortable bed. Smart phone with free calls and internet you can take with you everywhere you go!! Loved it! Overall great location , great breakfast. excellent friendly staff - all three! I have never given a perfect 10 in 20 years and over 200 stays with this site. 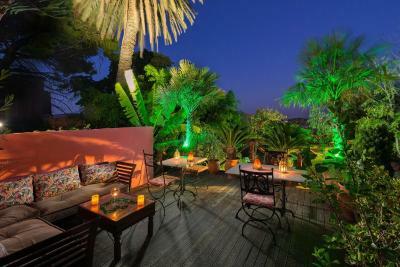 Its location is amazing it’s outdoor area is from a film and Angelo is just a amazing host. 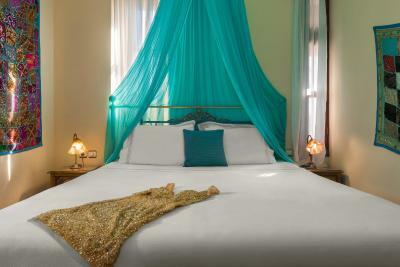 Perfect 10 for the perfect hotel. We are coming back. The staff, Vagelis is extremely friendly and helpful. thank you for your warm welcoming and hosting us! 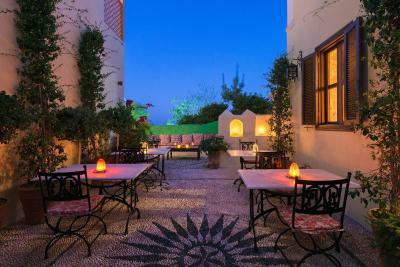 Nikos Takis Fashion Boutique Hotel This rating is a reflection of how the property compares to the industry standard when it comes to price, facilities and services available. It's based on a self-evaluation by the property. Use this rating to help choose your stay! 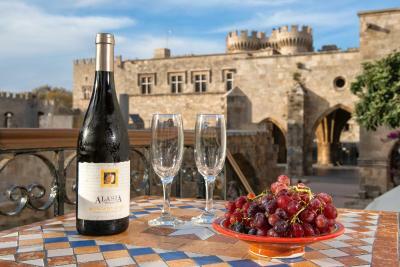 One of our best sellers in Rhodes! 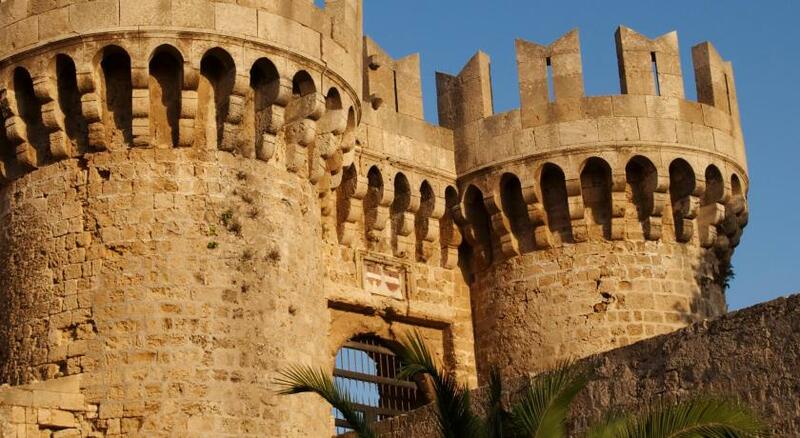 Housed in a restored, historical Italian building and fitted with medieval and oriental elements, Nikos Takis Fashion Hotel is located in the Medieval Rhodes Old Town, just 50 feet from the Grand Master’s Palace and the Street of Knights. 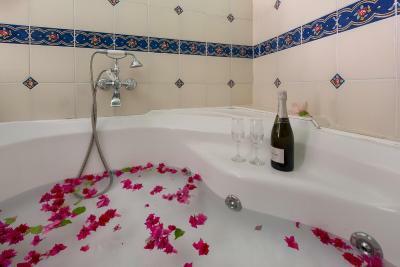 Decorated by the famous fashion designers Nikos and Takis, all rooms have ecological Cocomat mattresses, a private bathroom with hairdryer, bathrobes and slippers, satellite LCD TV and coffee maker. 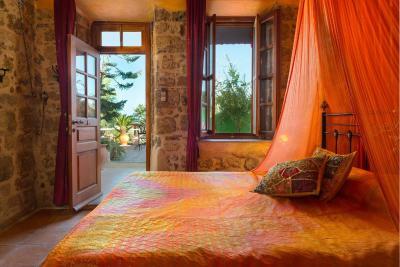 They open out to a balcony overlooking the Grand Master’s Palace, the Aegean Sea and the Medieval Town. 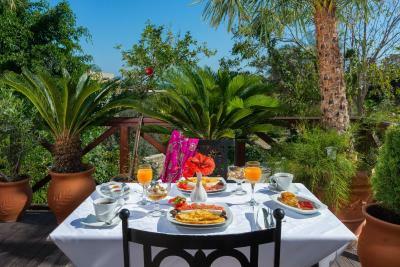 A homemade breakfast prepared with fresh local ingredients can be enjoyed daily. 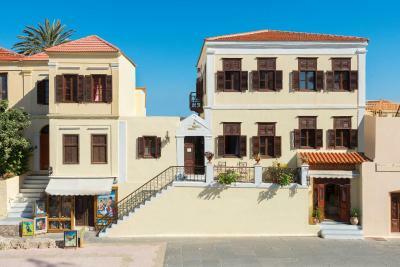 Nikos Takis Fashion Hotel features free WiFi throughout the property. Bike hire and car hire can be arranged. Taxi transfer from the airport can be arranged on request and upon charge. 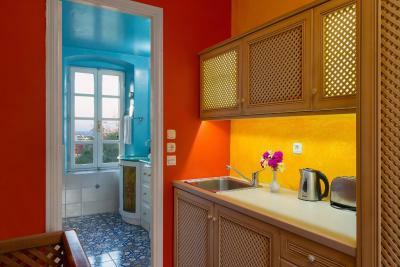 The property offers electric bicycle rental and tours with electric bicycles upon extra charge. 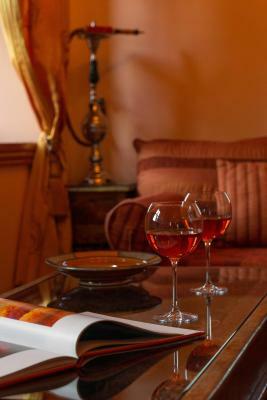 A welcome drink is offered to guests upon arrival. Please note, the entrance of the property is only accessible by stairs. 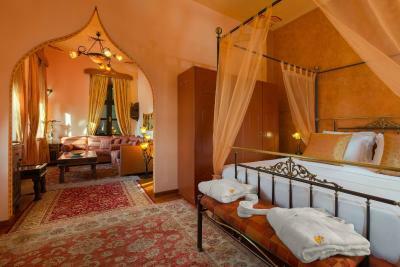 Guests can enjoy various activities in the surroundings, including diving, cycling and horse riding. 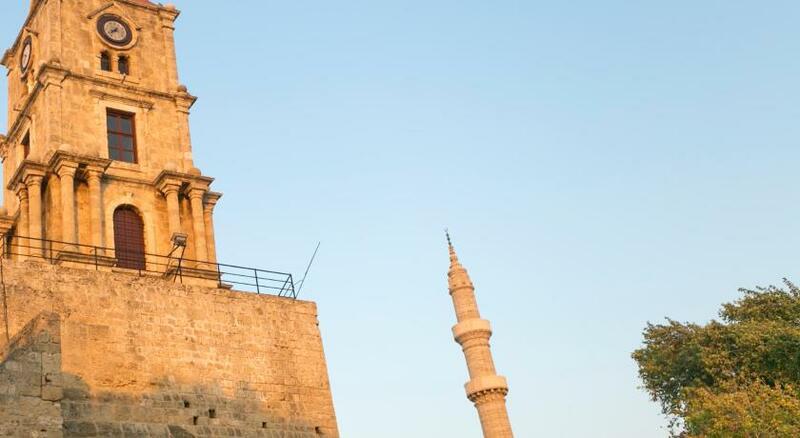 The famous Deer Statues are 1,650 feet away and Mandraki is 1,000 feet away. 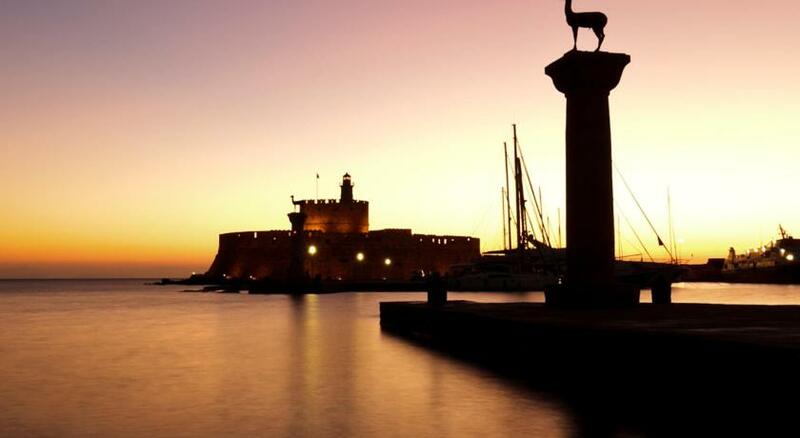 The nearest airport is Rhodes International Airport, 8.1 mi from the property. 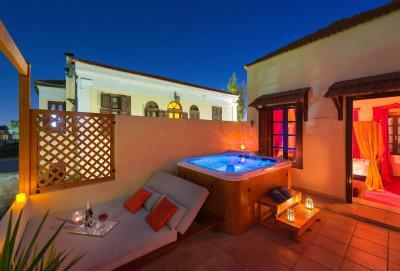 When would you like to stay at Nikos Takis Fashion Boutique Hotel? 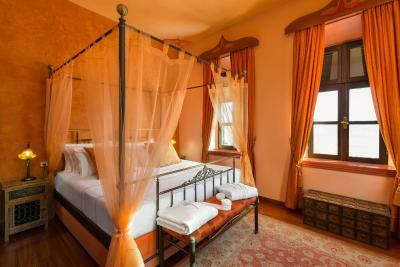 This air-conditioned double room has a bathrobe and flat-screen TV. The bathroom features handmade tiles. A sound system is installed in the room and the bathroom. A handy smartphone for unlimited calls and mobile data is offered to guests for free. This is applicable from 01/05 until 31/10. Please note, the room is only accessible by stairs. 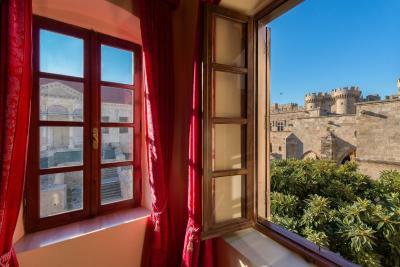 This double room features a view to Rhodes Old Town, bathrobe and air conditioning. The bathroom features handmade tiles. A sound system is installed in the room and the bathroom. 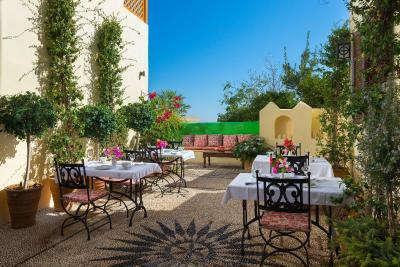 Set on the first floor, this suite features oriental-style decor and view to the Grand Master Palace and the Medieval Rhodes Old Town. 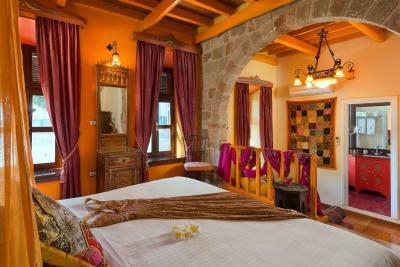 This air-conditioned room features a handmade wooden large double bed with Coco-mat bedding and a sofa, while a kettle with complimentary coffee and tea is offered. 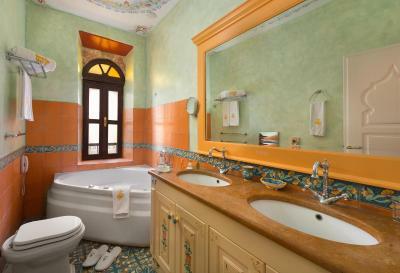 A sound system is installed in the room and the bathroom, while bathrobes and slippers are also offered. The bathroom features handmade tiles. Please note, the Suite is only accessible by stairs. 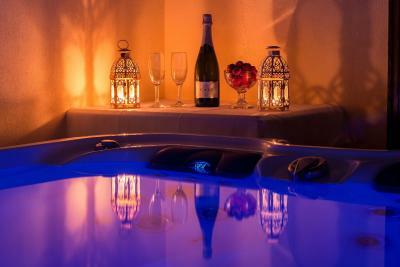 A smart TV with satellite channels and a mini bar with a complimentary bottle of wine and a bottle of water are featured. 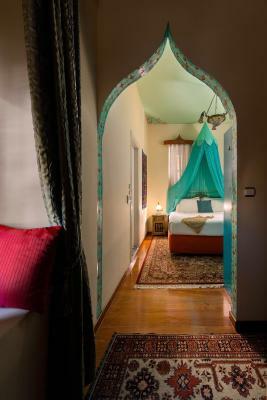 Set on the 2nd floor and featuring views of the the Grand Master's Palace, the Medieval Rhodes Old Town and the mosque, this air-conditioned room features a spa bath. 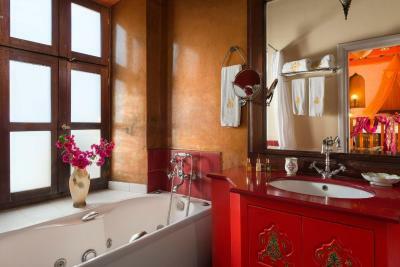 A sound system is installed in the room and the bathroom, while bathrobes and slippers are also offered. A smart TV with satellite channels is available. This suite has a bathrobe, electric kettle and soundproofing. 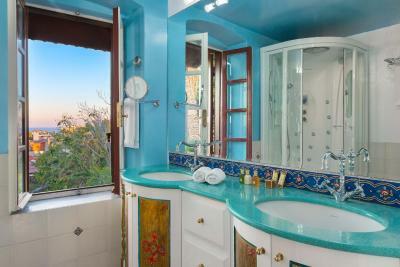 This suite features views of the sea. 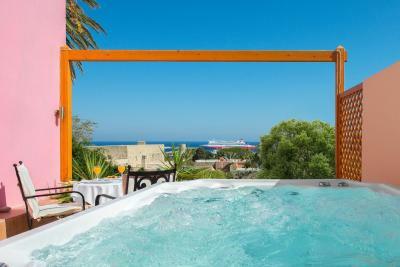 Set on the 2nd floor and opening to a spacious terrace with hot tub and views of the sea and the Grand Master's Palace, this air-conditioned room features a handmade iron large double bed with Coco-mat bedding. 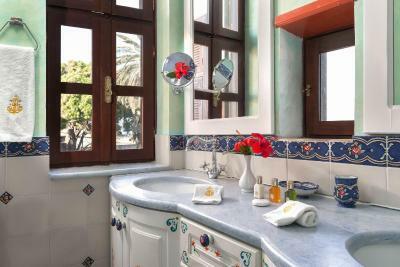 A sound system is installed in the room and the bathroom which is fitted with handmade tiles, while bathrobes and slippers are also offered. 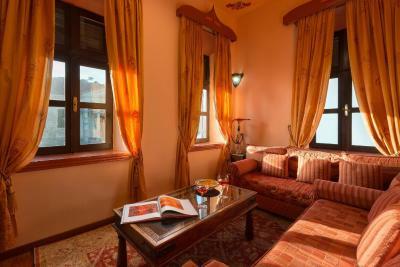 A smart TV with satellite channels and a small kitchen equipped with dinner table are available. 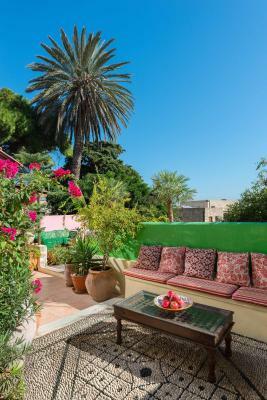 House Rules Nikos Takis Fashion Boutique Hotel takes special requests – add in the next step! Nikos Takis Fashion Boutique Hotel accepts these cards and reserves the right to temporarily hold an amount prior to arrival. 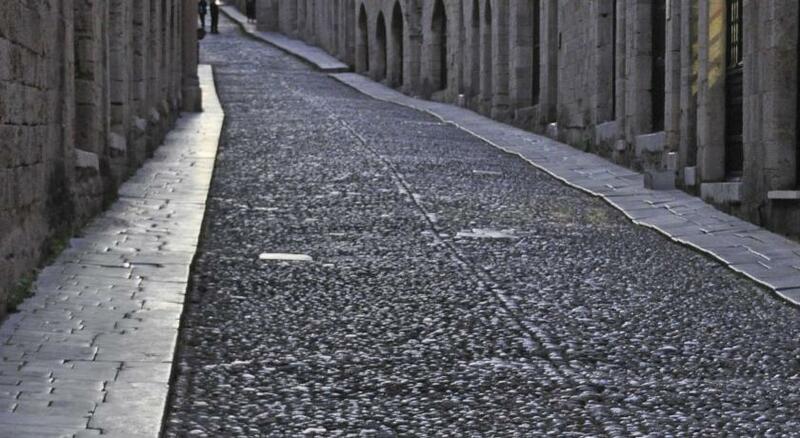 Kindly note that not all vehicles are allowed inside the old town of Rhodes. The property can arrange taxi transfer from the airport to the entrance of the property, with an extra charge of 35 euros (taxi transfer prices can change according to low or high season months), so that guests can avoid inconvenience. Please note that children under 15 years old cannot be accommodated. 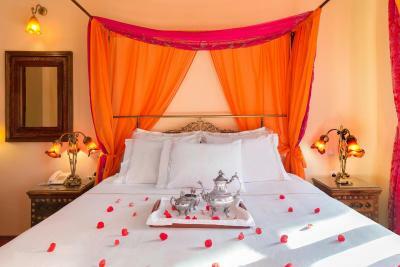 Please inform Nikos Takis Fashion Boutique Hotel of your expected arrival time in advance. You can use the Special Requests box when booking, or contact the property directly using the contact details in your confirmation. The breakfast is nice home taste, but everyday the same dish makes us a bit boring. Our room and bathroom were smaller than expected, but nice. 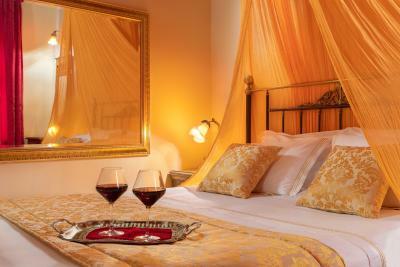 The hospitality of Vagelis is simply extraordinary! 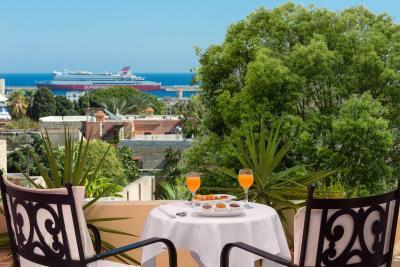 Location is perfect, facilities beautiful, breakfast delicious. Everything enhanced the holiday. 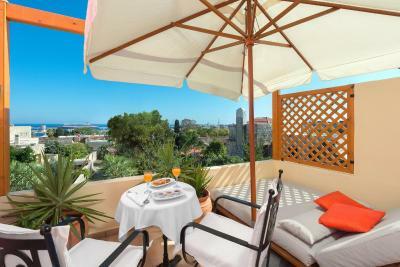 Perfectly located in the Old town. 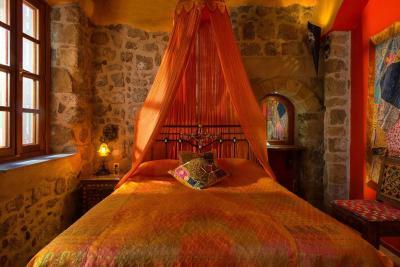 Comfortable and unique bedrooms. Great service from the manager Vangelis! 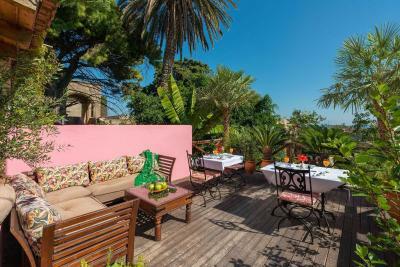 Delicious breakfast on the beautiful terrace! Wow!! Where to start! Firstly a massive thank you to Vagelis the manager of the hotel. He goes the extra mile to make you feel welcomed and at home. He set us up with a brief orientation of old town and new town, highlighting some personal recommendations for sightseeing and restaurants (please do go to these restaurants as they are amazing.. Mama Sofia was our favorite). Our room was beautiful (the Knights Room). It had everything needed.. a cloakroom, bathroom (with great water pressure and piped music), tv (with Netflix), and a smartphone that you can take with you for directions, internet etc. 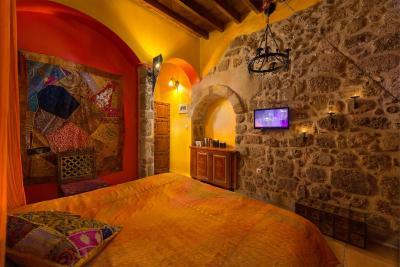 the room is decorated with a medieval theme and feels like it too. Vagelis personally prepared breakfast every morning which was a big spread that allows you to skip lunch or have a late lunch. We felt very welcome and at home. 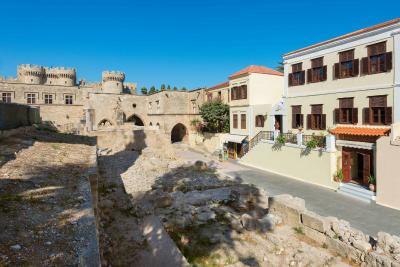 The property is directly opposite the Palace of the Knights and the idea of living in a medieval town is truly brought to life as the entire old town is medieval. A point worth noting is that this hotel is off the streets where the majority of tourist souvenir sellers are and is still located dead center of the part of the medieval town you want to stay at. 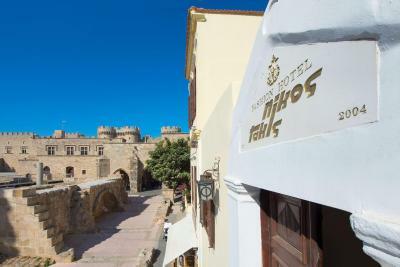 Location of this small hotel is great for one night stay if you want to explore historical places in Rhodos old town. 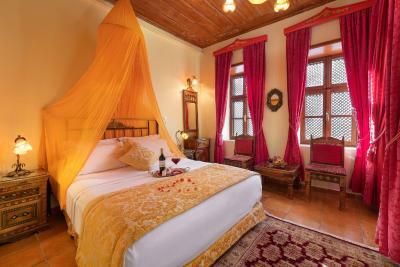 Room had special oriental atmosphere, silent during night, bed was comfortable. Fresh fruits, water and wine bottle waited for us. 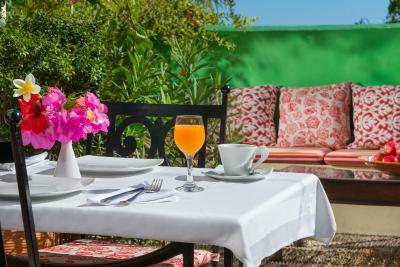 Breakfast was served outside, vegetarian with egg based meal nicely adjusted included fresh orange juice and yogurt with honey. Receptionist was very kind and treated us as best friends. I would recommend this place for short stay of adult couple. Nothing - although I would recommend a usb charging hub as 2 phones iPads and kindles fought for the one spare socket! 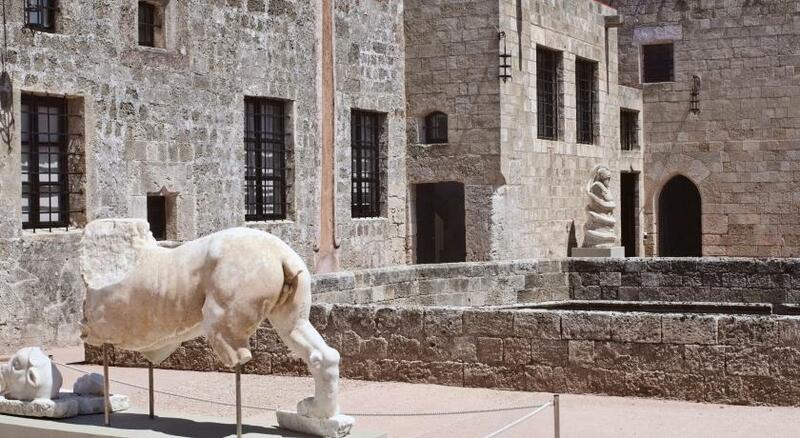 Amazing find in the medieval town, right next to the palace. Location is obviously great, right next to all the action but the street itself is quiet. 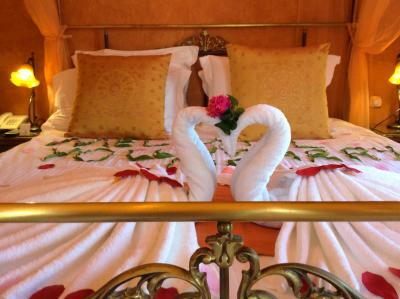 Rooms are nicely decorated, full of fun little touches. Staff went above and beyond to make us feel comfortable, Vangelis is a gem. We would definitely come back! 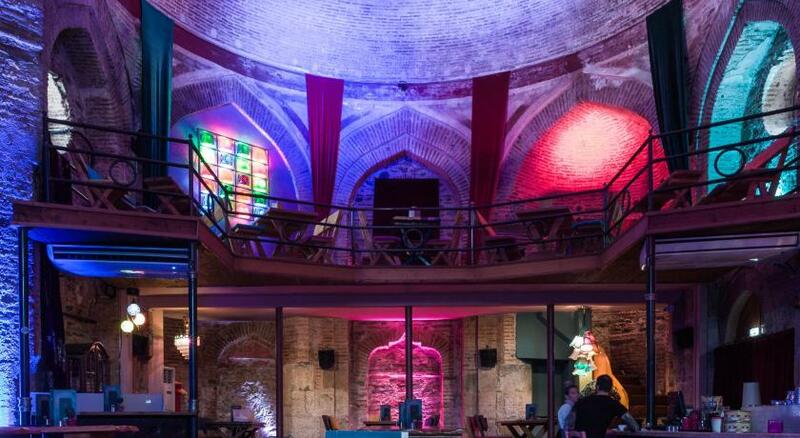 Amazing location, super cool athmosphere in the hotel, super helpful staff. Great breakfast.